Australia’s first recycled supermarket is giving food destined for landfills a second chance, as the government embarks on a major push to cut down on waste costing the economy 20 billion Australian dollars ($15 billion) a year. 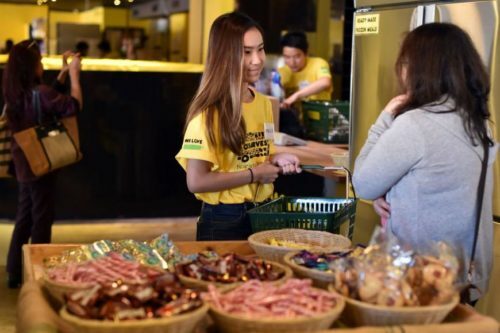 The outlet run by food rescue organization OzHarvest in Sydney takes surplus products normally thrown out by major supermarkets, airlines and other suppliers, and gives them away for free. It is an attempt to tackle the mounting waste problem in Australia, home to 24 million people, where consumers toss out some 20 percent of food they buy with more than 4 million tons ending up as rubbish each year. “It is simply remarkable that in prosperous, modern-day Australia we produce enough food to feed 60 million people a year but every month more than 600,000 people — one-third of them children — seek food relief from relevant charities,” Environment Minister Josh Frydenberg said in April.